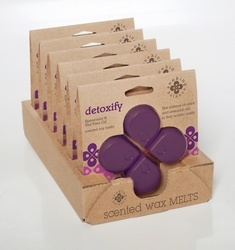 The power of color and fragrance in a holistic soy wax melt! 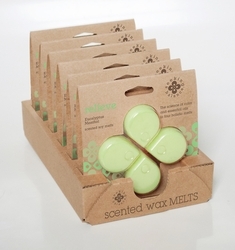 Root's Seeking Balance wax melts are made with all-natural soy-based wax with essential oil-based fragrances. Treat yourself to a greater sense of health and well being! Fragrance lasts 10 to 12 hours per petal. 4 petals per package. 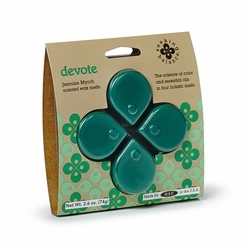 DEVOTE�- The sanctity of myrrh and the elegance of jasmine calms the mind and focuses your energy. To take you further into the world of quiet contemplation, these fragrances are elevated by clover, amber, and the champaca flower.